So I know I have been MIA these past few weeks. I can go ahead and blame finals and all of the other end-of-semester chaos that is really quite expected by now, but I am not going to. I know of a few low priority things I can put on the back burner when I have a lot going on, but I do not want this blog to be one. It acts as a huge stress reliever actually and allows me an outlet to honestly whatever I feel I need to let out (that mostly being my love for food and fitness that gets suppressed by the engineering world–but that’s another story). As my first day back to my blogging world, I find nothing more suiting than to share how my half marathon went this past Sunday. The same half marathon I devoted to running for Jessi. About a year ago, I decided to run (and finish) my first half marathon in honor of my late best friend and inspiration for this blog, Jessica Dillon. Although this was not the same race Jessi was running last May (that race no longer exists), it still meant the world to me and her two other friends who ran on Sunday as well. So many emotions filled my head and heart this past weekend. One of the most intense for me occurred the night before actually, when I was trading out my standard shoelaces with Jessi’s laces that her family allowed me to have a year earlier. I carefully threaded Jessi’s laces on my shoes knowing that when I crossed that finish line, it would not just be my moment, but Jessi’s as well. 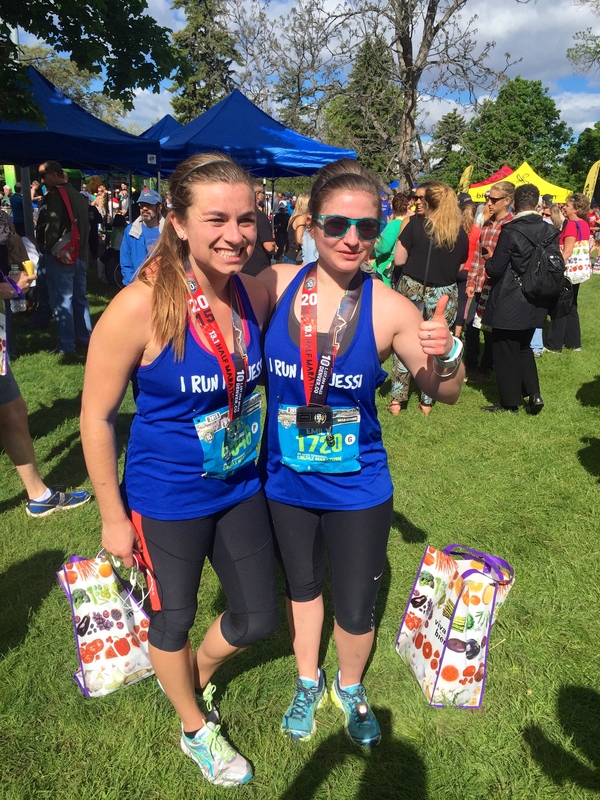 Since October 2013 we planned on finishing our first half marathon together, and in May 2015, despite a whirlwind of a year, I finished Jessi and I’s first half marathon. What made it even more special, was that another one of Jessi’s good friends and my best friend ran her first half too! We ran the whole way too, from start to finish. This is really a feat in itself since our training got derailed about three weeks before the race due to finals, illness and minor injury. Before the half, we both promised each other to let the other know if we need to rest and walk or slow pace a bit. We promised every one that we would listen to our bodies, and we did. We finished 13.1 miles and we ran the whole time–minus bathroom breaks and water stations of course. Rookie race mistake #1: not pausing to drink out of those dumb paper cups and getting water everywhere… (lessons from my first 5K circa 2011). 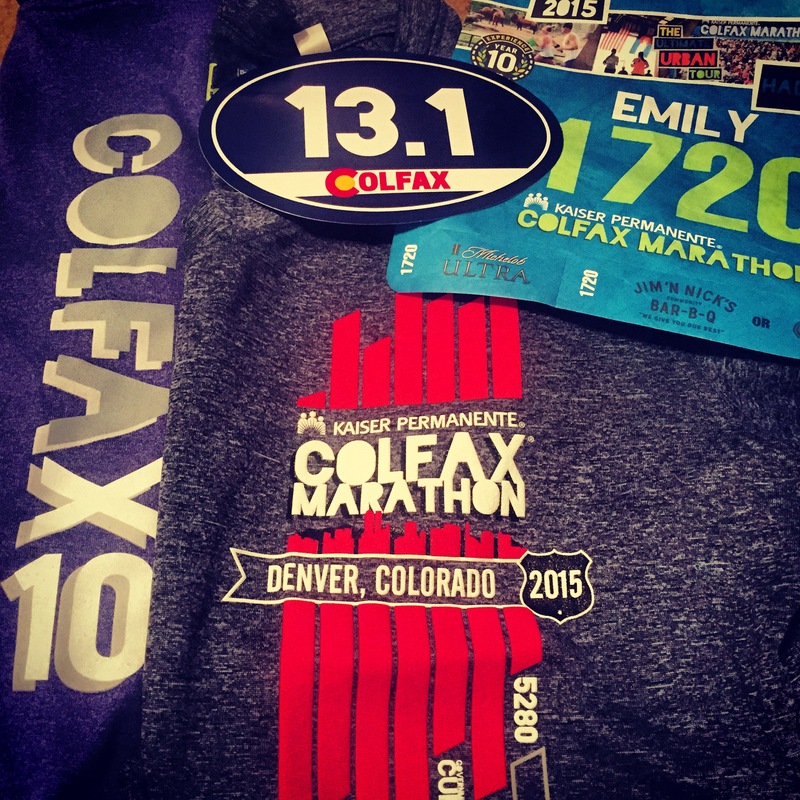 The Colfax Half/Marathon was actually pretty awesome. Although not designated as a “fun run,” the route took everyone through the Denver Zoo, a fire station complete with firefighters, and if you ran the full marathon, a lap or two in Sports Authority Field. My favorite had to be the Cheetahs. They were on high alert as they watched a herd of human run past them all morning. Nothing gets you running faster than having a couple Cheetahs stare at you. The rams were also out. I had to snap a picture of my University’s mascot–go Rams! 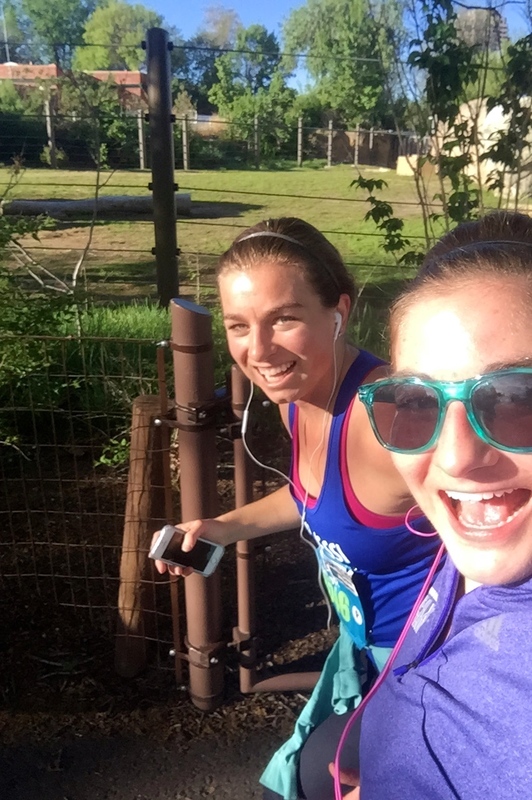 Zoo running was a blast. I was really surprised how many of the animals were out and about. We also ran through a fire station–complete with firemen ;) I high-fived the line of them all the way down. I felt pretty amazing throughout the whole race mentally and physically. There was a brief interval between miles eight and 10 that got a little tough when my mind started doubting my knees and plantar fasciitis, but I self-evaluated and knew it was mostly all in my head. After that, it was easier to keep pace and keep on until the final sprint to the finish! Another New Year’s Resolution of mine was crossed off my list (yes, I actually stick to those year-round). All-in-all, it was a great day and a great weekend to kick-off summer! The best part was crossing over that finish for Jessi. Her spirit and legacy will always continue on.